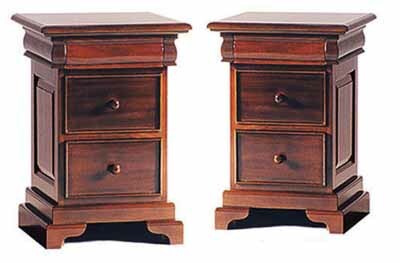 Solid mahogany bedside lockers. With 2 turned handle drawers under a reset drawer on top. On a plinth base. . Ideal match to any of the Antique style beds.